Did you know that latest bryce build can export trees among others? Testing here, I have to learn the bryce tree editor of course. Another test of this marvelous tree generator. Foliage only. Textured. Rendered in podium of course. A little Ps. I have tried Ngplant, Arbaro, Tree[d], Onyx, Treegenerator and some more I can't remember. Results haven't been quite as good as this. Well - actually Onyx produces some great stuff, but the polycount is huge, and the leaves aren't componentised. This makes for huge files and slow renders. What I have been doing is building the foliage by hand using textured planes - fast to render and small download sizes - but slooow. Cool, the foliage looks awesome! Yeah, what about poly count and components? Nit so green in a matter of fact, I know you may have some difficulties with green colours but some of the leaves aren't too green you see. Where I am? Lost in digital sculpting among others. what is more difficult for a render engine? lot of poly or lot of alpha maps? 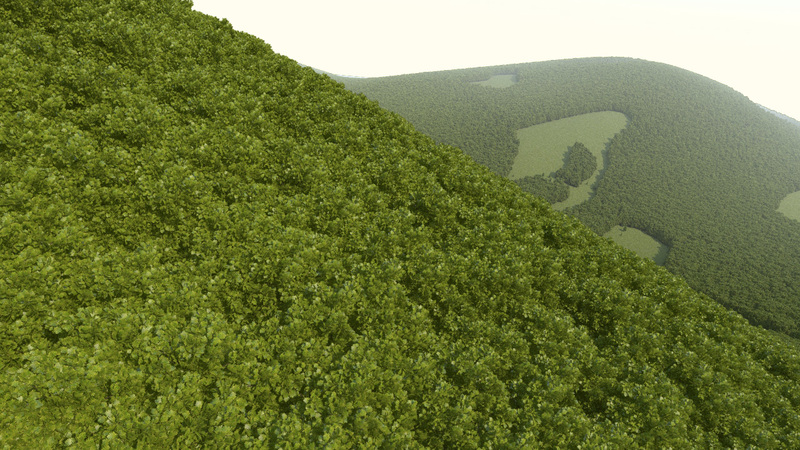 this foliage is about 30 k tris. Of course I can decimate it resulting to tow tris per leaf. For a little distant trees it could work. The good news are that by mistake, I imported a huge bryce tree (~300 k). As bryce groups in components it worked fine. No SU problem. The other interesting with bryce is that we can render these trees there, transparent alpha background, antialiasing on or off. Nice cutout 2d trees for background. Random trees. Sometimes that happens on the forum at random - most irritating. Bryce doesn't work on OS X Lion though unfortunately. More polys takes longer to render in Podium. I've been using simple curved planes to map alpha mapped branches onto. Not even a thousand polys for the foliage. 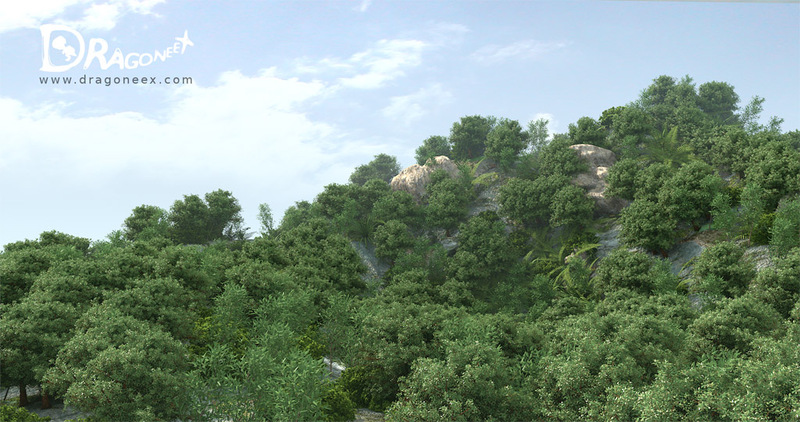 Bryce uses instancing for its trees. That's coming in Podium 3 in 2012. Instancing will resolve time issues with podium, but how on earth will SU handle billions of faces? With 100 my low poly trees it's almost impossible to turn the shadows on and hit the render button. What other releases are due in the meantime? V2.7, 8? And what is new in those? Instancing is the answer, see attached. SU don't have to handle billion faces, he won't even know they exist; that's the point! "something" will replace the real thing until podium renders it. That's what I've been doing manually when populating model with trees. Actually, that's what I'll be doing today. Blender supports it some years now, its particles system. The old BI render engine. 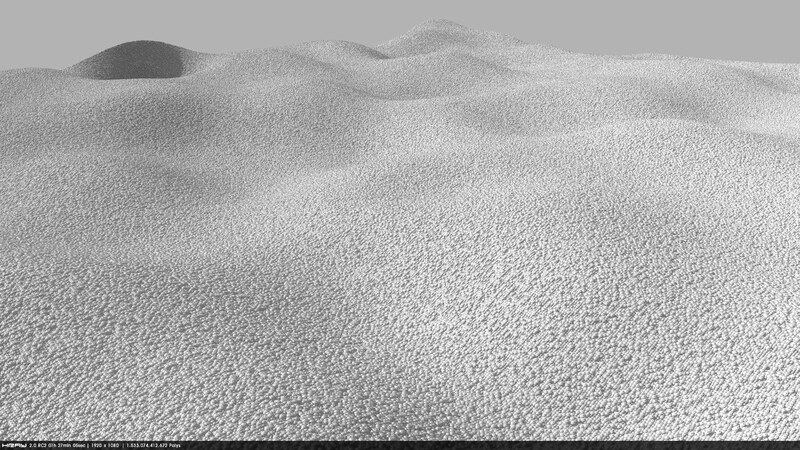 Just check instancing under render properties.